With all the buzz around the Galaxy line of handsets, many people forget that it was cool mid-range handsets with good bang-for-the buck that took Samsung to the top. We managed to spend a bit of quality time with the just released Samsung Exhibit 4G for T-Mobile in the United States, and here come some fresh impressions for you. The Exhibit 4G is by no means a flagship device, but it was never meant to be one. 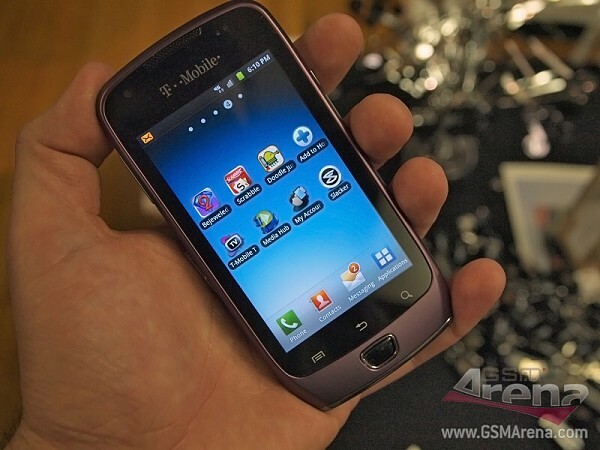 Its $79.99 price tag puts it in the middle of the T-Mobile Android range and it got most of the hardware of the last year’s Galaxy S. It didn’t even qualify for the Super AMOLED screen and large built-in memory, but the Samsung Exhibit 4G still remains one of the most attractive offerings at that price point. In terms of build quality the Exhibit 4G feels light but solid. There is no metal used on the device and this is not necessarily a bad thing. The plastic used on the phone has a soft and pleasant feel. The 3.7″ AMOLED screen is of pretty great quality as long as you don’t expect the wow effect of its Super AMOLED cousins. The Samsung Exhibit 4G is one of the best priced offerings on the U.S. market, which comes with the most current version of the Android OS pre-installed. Having the latest Google OS on board allows for a pleasant experience, without the worries of needing an update for compatibility with certain apps. After a few minutes spent with device, we were left feeling pretty positive about its prospects. For its price tag, the Samsung Exhibit 4G can hardly get any better than it already is. We do expect to get our hands on a review unit so expect more thoughts on the device soon.